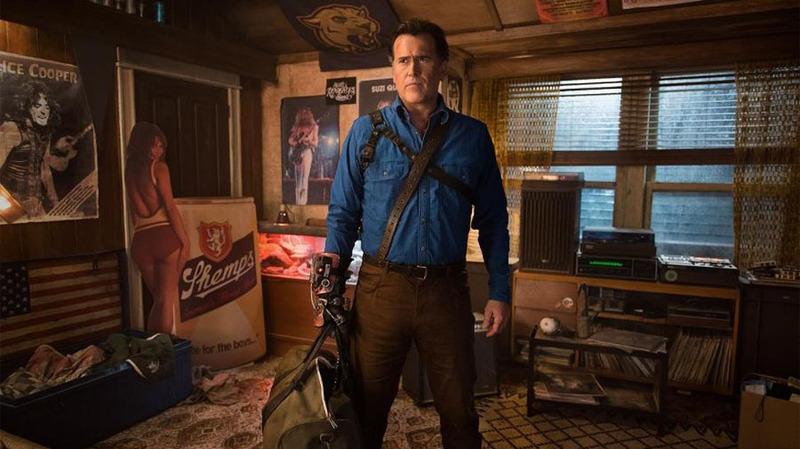 Ash vs Evil Dead burst onto the scenes in its first season on October 31, 2015. A continuation of Sam Raimi’s Evil Dead trilogy, the show has since had two full seasons and is going strong. So it shouldn’t be a surprise to anyone that a third season had been green-lit and just finished production. 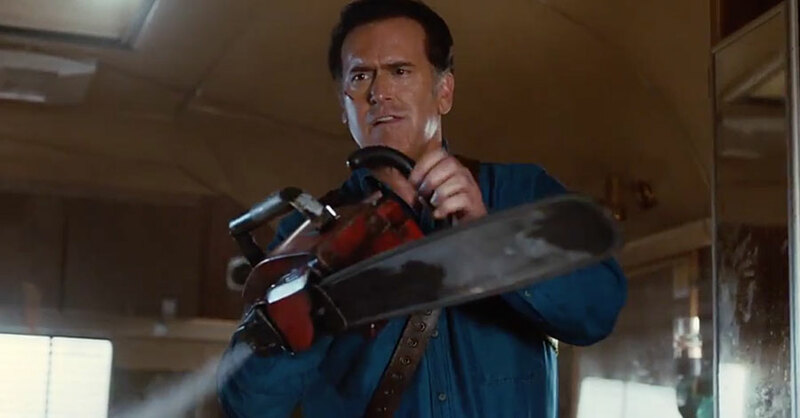 The chainsaw-wielding Ash looks to have more blood and gory fun as a third full season is on its way. Unfortunately, Starz has not currently set any release dates on when we can expect the third season to air. Stating that he’s the “hero” is putting it lightly. Ash has been shown to be a bit selfish at times throughout the show, but he’s a man with a good heart and will do anything to get the job done as long as there is a cold beer waiting for him at the end of the road. This makes a great deal of sense if you think about it. The Necronomicon is the primary focus of all the seasons and movies put together. It’s the reason why the Deadites are still around and why evil still lurks around Elk Grove. The mythology of this book is fascinating because even though the show and films have given us some of the backstory, there’s still much we have yet to learn. Ash himself is well aware of him being the chosen one, but now he needs to learn why. 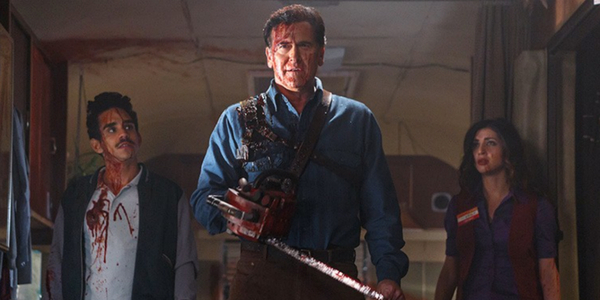 #AshvsEvilDead Season will certainly look to answer those questions. Not only does he speak of Ash being tested by all those things listed above, but apparently he at some point has had a child. If this is actually true, then this will be a true test to the character. The reveal of his actual blood child should be an interesting one as well as a very funny moment. With newcomers Kelly (Dana DeLorenzo) and Pablo (Ray Santiago), Ash had change of heart and vows to protect his friends by an means necessary. In Season 2, Ash was able to turn back the clocks to save his pal Pablo from certain death. Season 3 looks to be upping the stakes, as Ash tries to find his place in this world. What Other Surprises May Be In Store For Season 3? Not only will season 3 look to show us why Ash truly is the “chosen one,” but I have a feeling we will be in for more surprises. Season 1 brought us back to gory greatness when Ash was thrust right into fending off more Deadites and met his two companions along the way. Pablo and Ruby (Lucy Lawless) were the focal points of season 2. Therefore, it would only make sense for Dana DeLorenzo’s character Kelly to shine in the upcoming season. What do you think? How do you think Ash will fullfill his role of being the “chosen one” and what are you most excited to see in season 3? Share your thoughts in the comment section below!